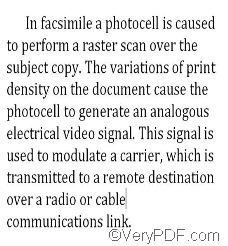 ← How to rotate the page while converting emf to ps? 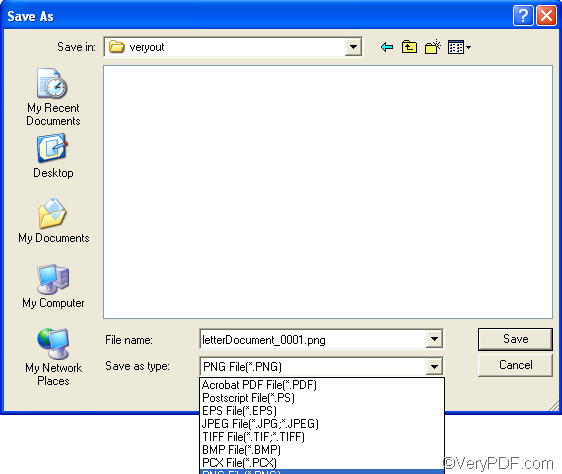 How to use docPrint PDF Driver printer to convert Word to PNG image format? The following side-by-side comparison shows you the content converted from original Word document to the PNG image file. The content including the text, the font style, etc. is perfectly preserved from to PNG. 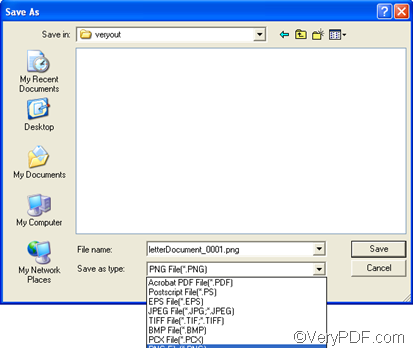 Do you want to use VeryPDF docPrint PDF Driver printer to convert Word to PNG yourself? VeryPDF docPrint PDF Driver printer is a virtual printer included in many VeryPDF products like docPrint and PDF camp. Hence, you can download the free trial version of any VeryPDF product which contains PDF Driver printer from the following website: www.verypdf.com. 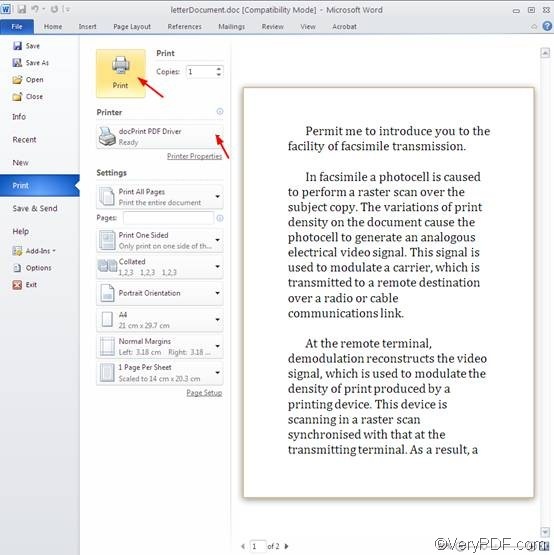 Then, you can begin to convert Word to PNG, and any other printable document to files in TIFF, PS, PCX, PDF, etc. The following four steps illustrate how to convert Word to PNG image format via docPrint PDF Driver printer. Please follow and do it yourself. 1. Open the Word in any MS Office application like MS Word 2010. 2. Press [Ctrl+P] on the keyboard to open the [Print] interface as illustrated below. Sometimes it might be a dialog box titled [Print] instead of the illustrated [Print] interface, if the MS Office application you use to open the Word document is Word 2003 instead of MS Word 2010. 3. Click the [Printer] combo box and choose [docPrint PDF Driver] on the pulling down listing that pops out. >Click on the [Print] button above the [Printer] combo box to open the [Save As] dialog box. Normally, it will take seconds to open the [Save As] dialog box. If the size of the source document is large, it will longer. In case the [Print] dialog box appears on your computer screen instead of the [Print] dialog box, you should do the steps as follows: choose [docPrint PDF Driver] as the printer in the [Printer] combo box, and click a button like [OK] to precede to the next step. Fourth, click on the [Save] button to close the [Save As] dialog box. A little printer icon will appear on the task bar in the right down corner of the screen. 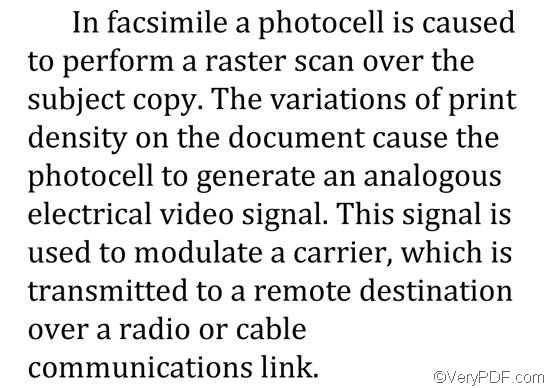 When the little printer icon disappears from the task, it means the conversion from Word to PNG is finished. Is this method simple and clear for you to follow? 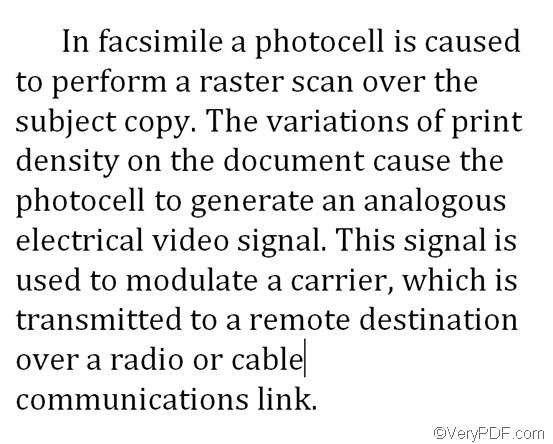 If you have tried to convert Word to PNG yourself, you can view the PNG image files now. 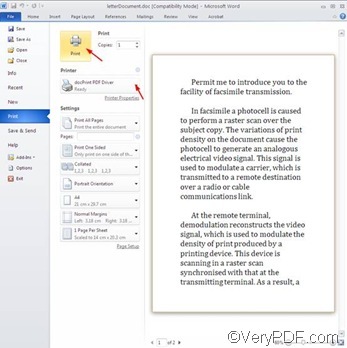 Isn’t it very easy to use docPrint PDF Driver printer to convert documents? Many of my friends recommend docPrint PDF Driver printer because it can save a lot of time. If you are interested in other VeryPDF products, please visit the following website: www.verypdf.com . How to use docPrint PDF Driver printer to convert Word to BMP image format? 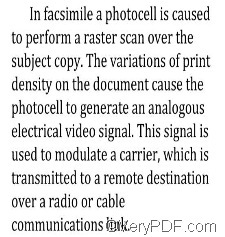 This entry was posted in docPrint Pro and tagged PDF Driver printer, Word to PNG. Bookmark the permalink.